If you are looking for a great day out for juniors then we have a few activities that will be perfect for you. Riding Suzuki 90cc Junior Quad Bikes, you will start off with a safety briefing showing you how to operate the quad, followed by your experience that will test your skills over a number of different obstacle, hills and even the chance to try the see-saw. The boys were buzzing all the way home and they have now made a pact that they will save their paper money so they can kart monthly – this I thought was fantastic. 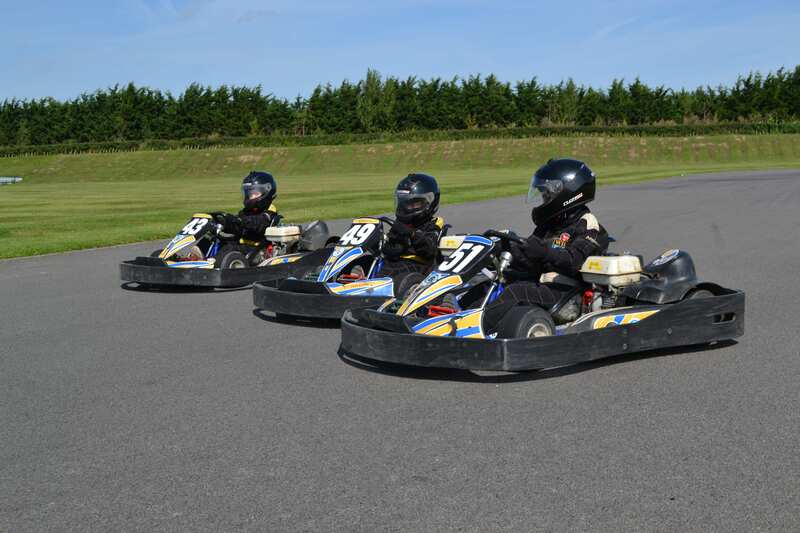 They weren’t asking me to pay, they were interested in a new hobby and they planned a way to fund it – brilliant!” July 2017 From age 8+ (height 1.3m) you can enjoy a ride on our exciting 160cc Biz Evo cadet karts, or a ride on our junior quads or a ride in a 4×4 off road vehicle or learn to be Robin Hood or join in a Battlefield Live game. From age 12+ you can add air guns and catapults to the activity list. If you are planning a birthday party call us to find out what we can offer your age group or have a look at our ready made birthday party packages. We also have a cheerful cafe where you can hold your child’s party once the activities are over.